Comfort food doesn’t get any better or easier than this Instant Pot Red Beans and Rice recipe. 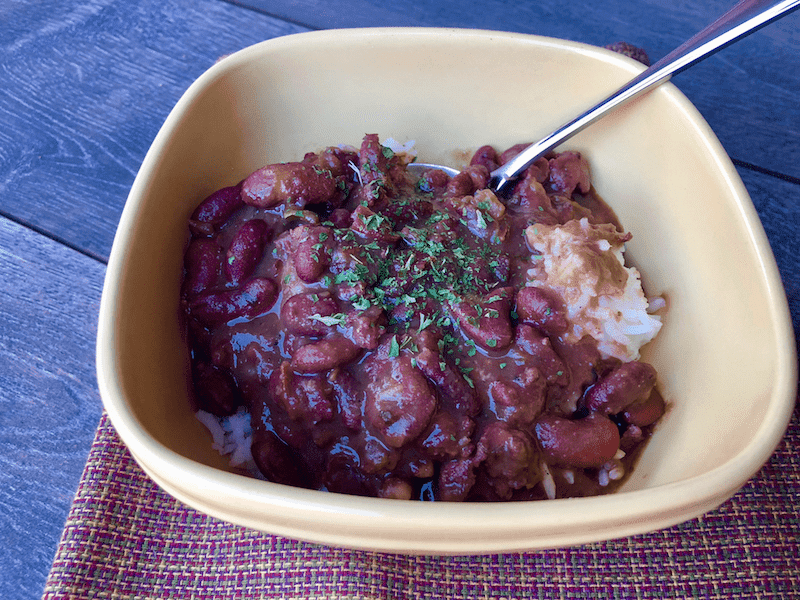 Red Beans and Rice is classic New Orleans comfort food. It’s traditionally slow simmered red beans with the Holy Trinity (celery, onion, and bell pepper), Cajun seasoning, and served over rice. 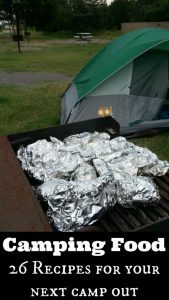 It’s simple, easy to make, and ohhhh so good! 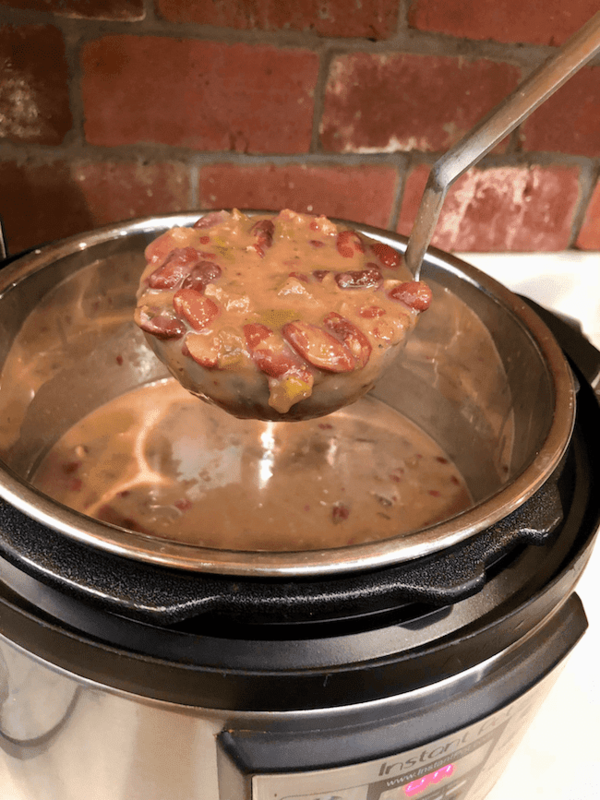 Now with a pressure cooker red beans and rice can be cooked up in a lot less time because you can skip the step that requires you to pre-soak the beans. With this recipe, you’ll have dinner on the table in a little over an hour. Head to most any New Orleans restaurant on a Monday night and you’ll find Red Beans and Rice on the menu. Mondays were once the day the women did the laundry, back before you had washing machines. 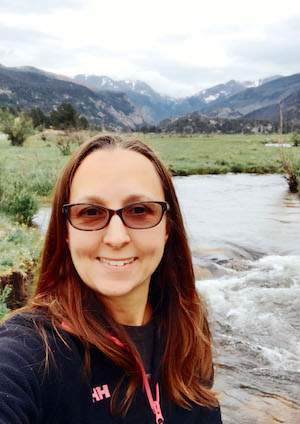 An easy red beans and rice recipe meant they could throw everything in a pot and then go on about their chores and laundry duties. Today laundry can be done any day, but the tradition remains to have Red Beans and Rice on Monday. 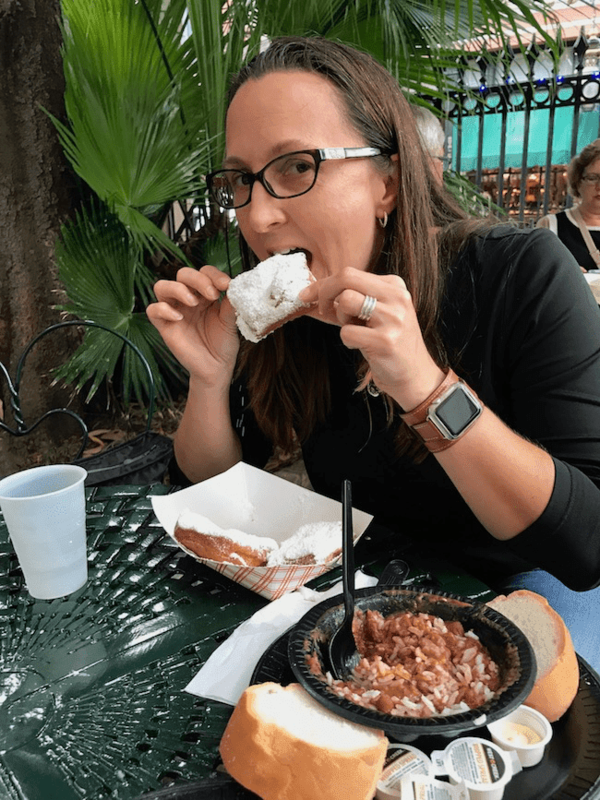 On a girls trip to New Orleans, I ate my way around the city and had Red Beans and Rice at a few places. Each bowl was a little bit different, but they were all fantastic. My favorite one was at Cafe Beignet served with French Bread and fresh beignets for dessert. When in NOLA, end every meal with beignets… right? 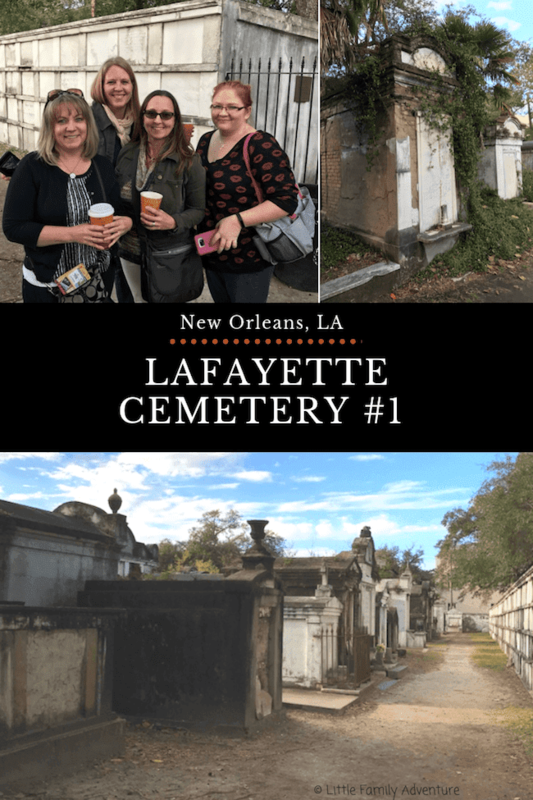 After lunch that day, we hoped on a street car and toured Lafayette Cemetery #1 with friends Lisa, Honey, and Michelle from SimplifyLiveLove.com. 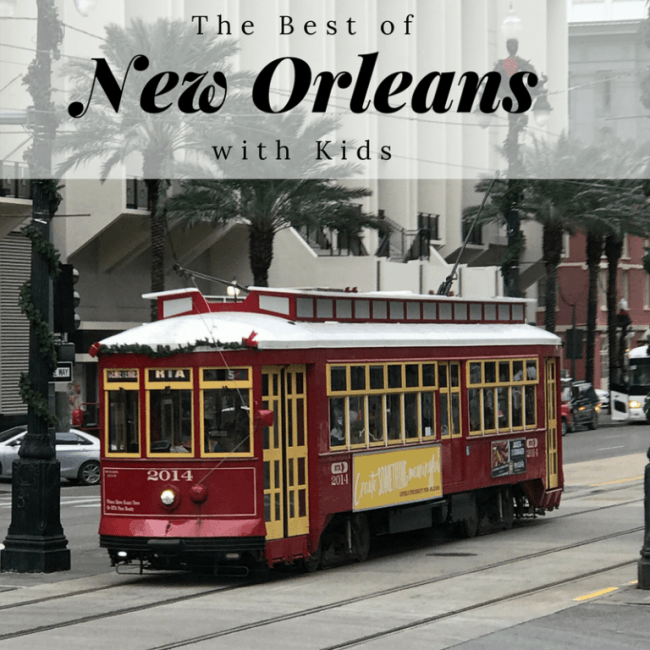 If you are looking to visit New Orleans in the near future, check out these New Orleans restaurants I couldn’t get enough of and the things to do in New Orleans for kids that I’d recommend. 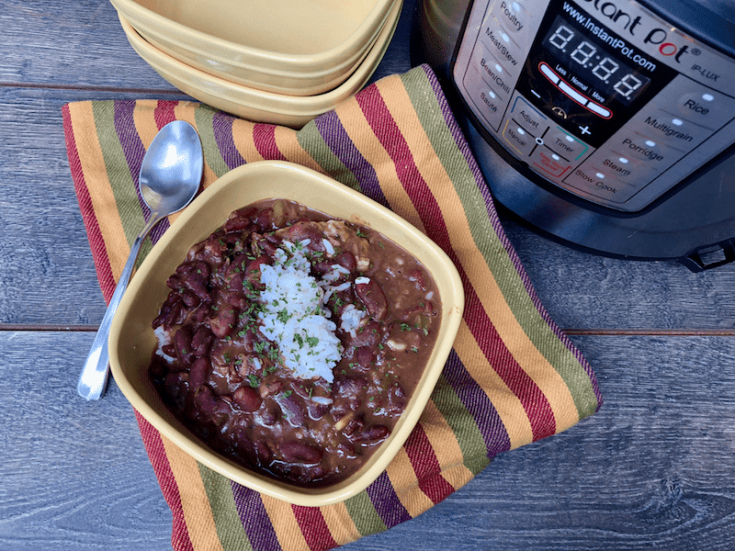 This easy red beans and rice recipe is perfect for busy families, feeding a group, and making freezer meals. 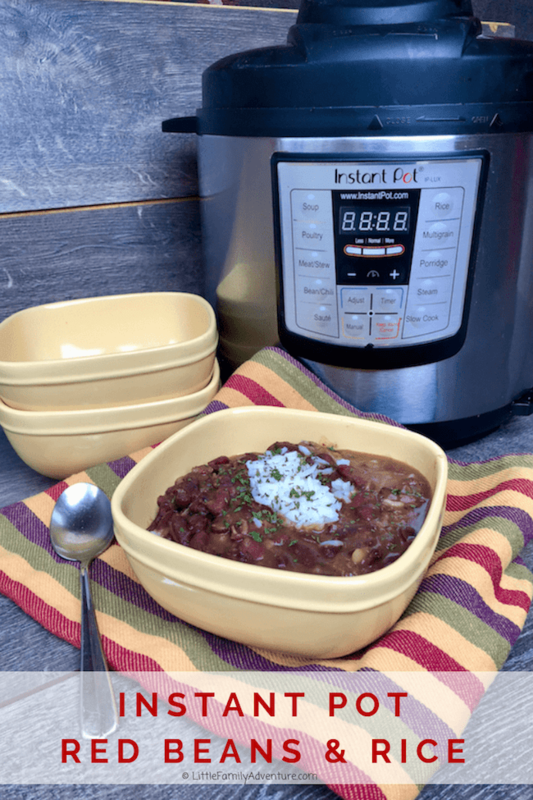 In a 6 quart Instant Pot/pressure cooker, you can make 6 servings in about an hour. 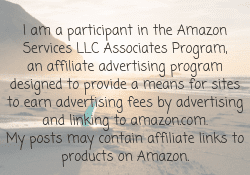 If you want to make the dish stretch, you can add an additional cup of water to the ingredients before cooking or serve the finished dish with a few sides or a salad. 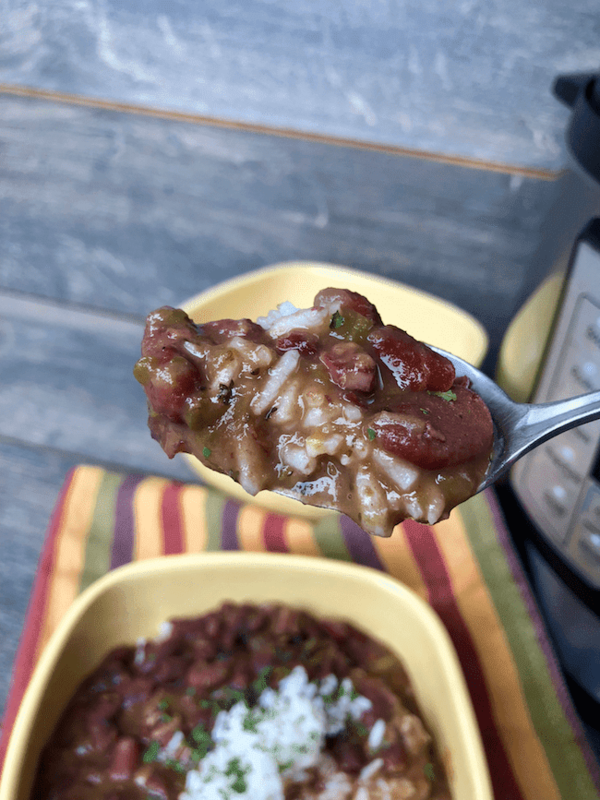 You can also serve this Instant Pot Red Beans and Rice recipe as a side dish with a meat dish of pork chops or additional sausages. For our family, we like to serve it as a main dish with honeyed cornbread and a little Tabasco dashed on top. My recipe below has some heat to it with the addition of cayenne red pepper and Creole/Cajun seasoning. If you don’t like spicy, cut the spices in half before cooking. You can always add additional Creole/Cajun seasoning or Tabasco to individual bowls. Either way will give you a great bowl of beans. Note: this recipe doesn’t use smoked ham hocks. There have been a few times that I’ve gone to the store and haven’t found ham hocks for my beans. Therefor, I add a slice of smoked bacon to get that smoked pork flavor. Plus everything IS better with bacon… don’t you agree? 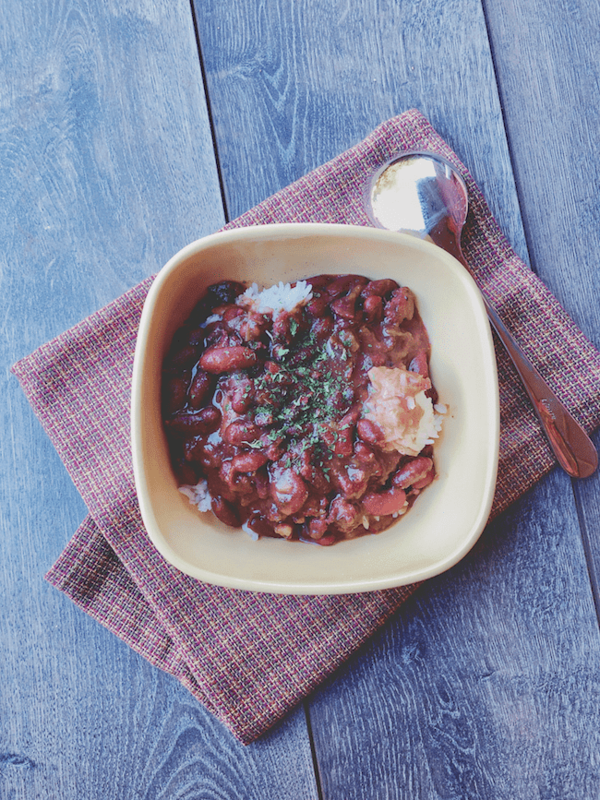 Red Beans and Rice is classic New Orleans comfort food. Now with an Instant Pot or pressure cooker, you can create this dish in a fraction of the time. 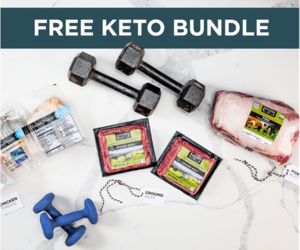 Perfect for weeknight dinners, groups, and freezer meals. 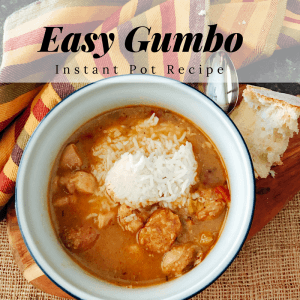 Once hot, add the sliced or crumbled Andouille sausage and bacon into the Instant Pot. Cook for sausage and bacon for 5-6 minutes, turning often. Note: Sausage should no longer be pink but not fully browned. Add onion, bell pepper, and celery to the sausage and bacon. Cook for additional 5 minutes until onions are translucent. Add remaining ingredients, garlic through water/vegetable broth. Stir well to combine being sure to remove anything sticking to the bottom of the pot. Add the pressure cooker lid and bring to pressure. Cook for 45 minutes on manual setting and then allow to naturally release for 10 minutes. Taste the red beans and add additional sea salt, creole seasoning, and/or black pepper as needed. If red beans are still firm: return the pressure cooker lid, bring to pressure again, and cook on manual for an additional 10 minutes. 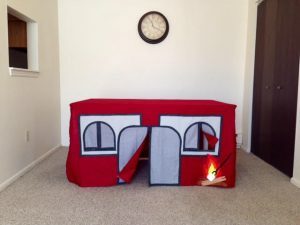 Wait 5 minutes and do a manual release. To serve: place a 1 cup of white rice in a bowl and top with red beans and gravy/sauce/liquid. Top with a sprinkle of dried parsley (optional). This looks really delicious! The hubs has been requesting cajun, so this is perfect. Red beans and rice are my favourite. I can’t wait to try this!